Pain Control Without Drugs - Piedmont Physical Medicine & Rehabilitation, P.A. It is no secret that opiate use in the United States is rampant and that along with it has come an increase in medication related death and illness. 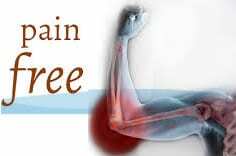 There are however several options to treat pain without having to rely upon narcotics. By utilizing different diagnostic studies to get a broader perspective on the root cause of pain and then employing treatment options that address the underlying problem excellent outcomes can be achieved. Visit piedmontpmr.com to learn more.